Mr. Charles Fletcher Allen, Sr., 92, of Walterboro, entered into rest Friday evening, January 25, 2019, at the Colleton Medical Center in Walterboro. He was born December 27, 1926, in Charleston, South Carolina, where he lived most of his life before moving to Macedonia and eventually making Walterboro his home for the past ten years. He was a son of the late Clydie Mills Ackerman and the late Ludie Ackerman. 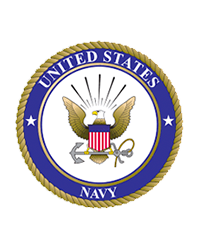 He served faithfully in the United States Navy, having been a veteran of World War II. He was a manager for Kerr McGee Chemical until its closing and retired from the Ports Authority as a grain elevator operator. He was the widow of Mrs. Emma Ruth Allen. Surviving are: three children, David M. Allen and his wife Jessie of Walterboro, Charles F. Allen, Jr. and his wife Shirley of Lexington; and Melvenia Mosier of Allendale; as well as a host of grandchildren and great grandchildren. He was preceded in death by a daughter, Elizabeth; a brother, Marvin Lee; and two sisters, Beulah and Maxine. Funeral services will be conducted 2 o’clock Thursday afternoon, January 31, 2019, from The Brice W. Herndon and Sons Funeral Chapel, Walterboro. The family will receive friends during a time of visitation Thursday prior to the funeral ceremony beginning at 1o’clock that afternoon at THE BRICE W. HERNDON AND SONS FUNERAL HOMES AND CREMATORY, WALTERBORO CHAPEL, 1193 Bells Highway, Walterboro; 843.538.5408. Visit our online registry at: www.briceherndonfuneralhome.com.